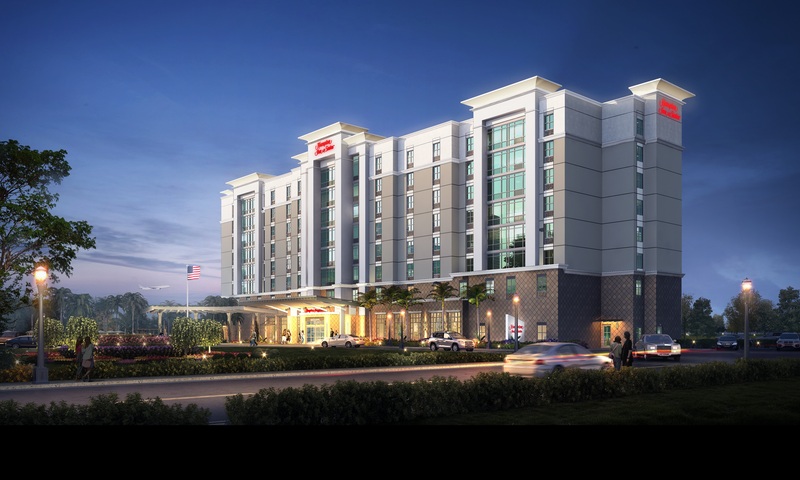 Sarasota-based general contractor and construction management firm, Kellogg & Kimsey, Inc. has commenced construction on the Hampton Inn & Suites in Avion Park in the Westshore Business District. The 8 story, 110,250 sq ft hotel will have 178 guest rooms, an outdoor pool, fitness center and 2,300 sq ft of meeting space. Developed by McKibbon Hotel Group and managed by McKibbon Hotel Management, the Hampton Inn & Suites is scheduled to open in Summer 2016. This is the 8th project Kellogg & Kimsey, Inc has built for McKibbon Hotel Group. Phil Kellogg, President of Kellogg and Kimsey, Inc. attended the official groundbreaking ceremony, Monday June 29, 2015 where John McKibbon, Chairman of McKibbon Hotel Group, and several other community leaders spoke including Tampa Mayor Bob Buckhorn, Rick Homans, President & CEO of Tampa Hillsborough Economic Development Corporation and Santiago Corrada, President& CEO of Visit Tampa Bay. Founded in 1986 and headquartered in Sarasota, Florida, Kellogg and Kimsey, Inc. is a dynamic general contracting firm that specializes in a wide range of commercial construction projects, including retail, hotels and resorts, multi-family, senior living, restaurants, automotive dealerships, offices, and religious facilities. In addition to ground up construction, Kellogg & Kimsey, Inc. also specializes in solving the challenges of difficult renovations, additions and tenant finish outs. More information can be found at www.kelloggkimsey.com.